TORONTO/MONTREAL (Reuters) - The United States will throw its support behind a proposal by the U.N.'s aviation agency to share information about risks to commercial aircraft over conflict zones after the downing of a Malaysian jet in Ukraine last year, according to a senior U.S. official. The U.N. agency's plan falls short of what airlines sought in the aftermath of the Malaysia Airlines MH17 crash in July, which was for vetted, comprehensive intelligence. But U.S. backing is a big boost for the scheme, given its vast intelligence network and the pressure Washington can bring to bear on other countries to share information. The International Civil Aviation Organization (ICAO) will propose a test system at a major safety conference that kicks off on Feb. 2 in Montreal. The plan entails ICAO running a central website where states and agencies can publish information about conflict zones. "The U.S. views this as an important mechanism to strengthen the information safety net, and we're happy to contribute to it. We hope that other countries follow our lead," the U.S. official told Reuters. "We're confident that other member states will recognize the value of this mechanism," said the official, speaking on condition of anonymity. The Malaysian passenger plane, flying from Amsterdam to Kuala Lumpur, was shot down in Ukraine last July, killing all 298 people on board. The incident occurred during fighting between Ukraine and pro-Russian separatist rebels in eastern Ukraine. The United States said the plane was hit with a ground-to-air missile by rebels. 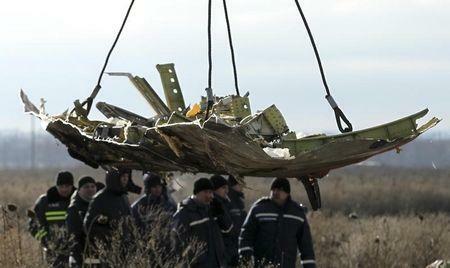 Russia says a Ukrainian military aircraft downed it. ICAO, based in Montreal, sets safety standards that typically become regulatory requirements in its 191 member states. It launched a task force in July to look at ways to better share information about risks in conflict zones. ICAO does not open and close airspace in conflict zones, and the proposal would not change that. Countries would also not be mandated to contribute information. In October, Russia said the agency's pursuit of a centralized intelligence sharing mechanism was "superficial" and outside its mandate. Russia's delegation to ICAO could not immediately be reached for comment on Thursday. The International Air Transport Association, the leading industry group for commercial airlines, declined to comment on the proposal. In July, IATA Chief Executive Tony Tyler said airlines needed "clear guidance" on threats, which could be provided only by states. He said information needed to be authoritative and consistent. Questions about who would operate any central intelligence depository and how to get countries to divulge sensitive information was one challenge for the ICAO task force looking into conflict zone safety. IATA was discussed as one possible host, but Tyler said he did not want the group to become "an institutionalized rumor-monger." The United States already publishes the information it will contribute - so-called "notices to airmen" - as do other countries. But some states do not and the plethora of flight safety websites makes monitoring all of them difficult. The ICAO plan would not absolve governments or airlines of their responsibility to keep passengers safe. But it would make it easier to quickly gather information, narrowing gaps between airlines based in different countries and encourage - though, crucially, not require - states to share more intelligence. Countries engaged in conflict often close their own airspace or parts of it. Eurocontrol, the European airspace coordinator, has said that Ukrainian authorities closed the route the Malaysian flight was on up to about 32,000 feet. MH17 was flying at 33,000 feet. Other states also order or advise their own carriers not to fly in certain places. Airlines may also choose to avoid hotspots based on advice from security consultants. Such variations could lead to contradictory information on the website, the U.S. official said. "In order for airlines to do a proper risk assessment, we can't shield them from the variations in the information - they have to understand that variations exist." A draft disclaimer for the new ICAO site warns that "ICAO does not warrant that the contents are accurate, reliable, complete, comprehensive, correct or up-to-date." Asked whether the site might sow confusion about airlines' roles, an ICAO spokesman said that issue and the legal risks involved would be discussed at the February safety conference. Treaties protect ICAO and other United Nations agencies from being sued, unlike industry groups. ICAO's former senior legal counsel questioned whether airlines would take the ICAO-run site seriously, given the disclaimers. "ICAO should find a way of making states more responsible and accountable for giving correct information to carriers," said Ruwantissa Abeyratne.